This is part one completed of the Airbrush camouflage guide completed over the first week in August. I show how to use an Airbrush to quickly finish 15mm vehicles from Old Crow Models and also paint some of the Spider Drones from GZG. 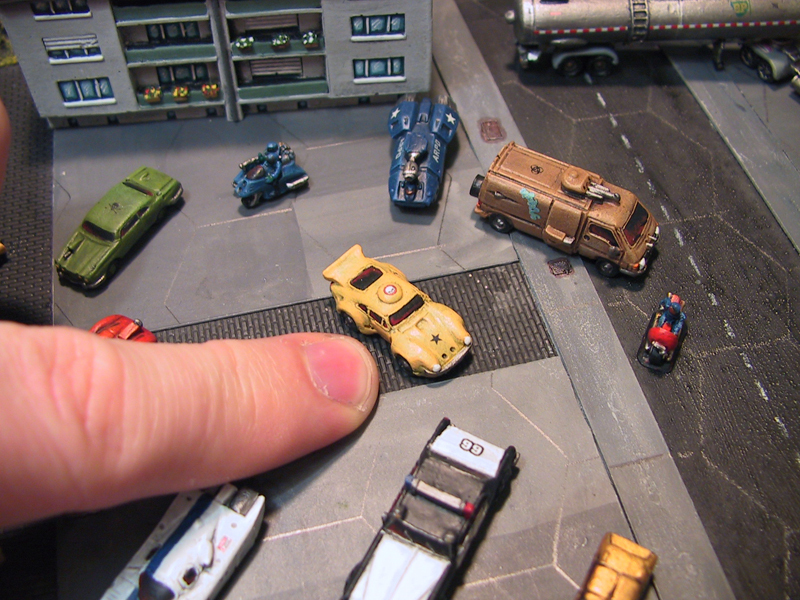 I have always found painting large flat areas on vehicles difficult in any scale because the consistency of the paint can be difficult to maintain across the whole model. If you have ever seen a real life scale automobile hand painted you might be able to visualise the result of using hand painting. Another example of issues with hand painting is panel edge work. 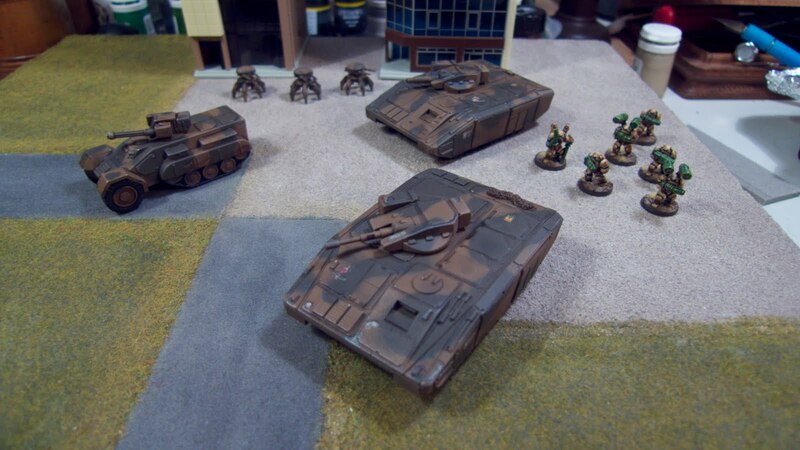 There are many early examples on the internet of Games Workshop tanks hand painted with an almost neon highlight added to the edges of panels, which I think is due to the painter using their same panel edging painting technique they would use on a small troop model. The same sort of extreme highlights are not as effective on a larger vehicle model. My technique is not perfection and in this tutorial I am simply trying to get an OK result quickly, to a standard which works on the wargames table. To complete the camo on the tanks I used Blu-Tac or White-Tac, which is a tacky material used for hanging posters. 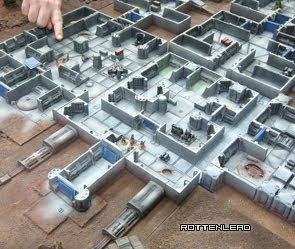 The Blu-Tac can be removed from a model without pulling paint off, so it can be used as a very quick mask, enabling a fast method for camouflage spraying. This is the first time I have used the technique and the result was OK. The models used are 15mm SCI-FI from Old Crow Models Lancer Heavy APC and a Dragoon Half Track. The GZG models are small 15mm Spider Drones. Part II of this video will show the weathering and finished models after the paint job is complete. Great tutorial, Thank you. The vehicles look eally good. Have to agree with Rob! A great approach to painting vehicles & well demonstrated too. Great idea using the tac, I'm going to try that soon on some 1/285 tanks. Great job on the painting tips can you do one on the Old Crow military base in your photos. "Great job on the painting tips can you do one on the Old Crow military base in your photos." Thanks for the comments at Pat / Blacksmith. The bases were airbrushed, washed with inks and dry brushed exactly like the tanks, with less attention to detail because I don't spend as much time on tiny details for the buildings.